Manchester United are expected to be without in-form striker Romelu Lukaku for the weekend's FA Cup quarter-final tie against Wolverhampton Wanderers on the road. Manchester United could reportedly make a club-record attempt to sign Paulo Dybala, should Romelu Lukaku part ways with the club in the summer. 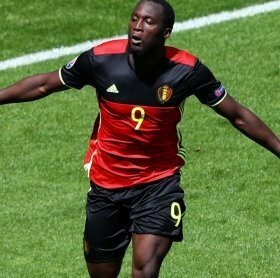 Inter Milan have reportedly earmarked Manchester United striker Romelu Lukaku as a potential signing for the summer with Mauro Icardi appearing likely to part ways with the club. Manchester United and Arsenal are reportedly among the top clubs looking into the signing of Birmingham's highly-rated forward Che Adams during the summer. Manchester United are reportedly planning to freshen up their attacking department in the summer with Romelu Lukaku among those possibly looking set to part ways with the club in June.